After a phenomenal start to this year's Knight of Illumination Awards, which saw record nominations for outstanding lighting design, submissions are now closed, and the build-up to the much anticipated glittering London ceremony begins. London ExCel's Platinum Suite will host the KOI Awards for the first time this year, kicking off at 18:30 on Sunday 6 October to allow plenty of time for pre-ceremony networking between old friends and colleagues. As is traditional, the Awards coincide with the opening day of PLASA London, which also takes place at ExCel for the first time this year. The popular awards, organised by The Society of Television & Lighting Design (STLD), The Association of Lighting Designers (ALD), Clay Paky, and Ambersphere Solutions, continues to forge closer ties between the world of lighting design and the lighting industry as a whole and provides a social platform for great lighting design to be recognised and celebrated by the industry. The Awards is sponsored by Osram, Chroma Q, Hawthorn, MA Lighting, Robert Juliat, and XL Video. "Last year, hundreds of top creative lighting professionals donned their finery and put on their dancing shoes to celebrate the outstanding creative achievements of lighting designers working on productions in the UK," says Pio Nahum, chief commercial officer for Clay Paky. "With the record number of submissions, we will be showcasing an incredibly high level of talent from all sectors of lighting design at KOI 2013." The Awards is embracing a number of other changes to better reflect the diverse talent and applications of the lighting design community. In addition to the Rock sector being renamed 'Concert Touring & Events', each sector will now contain a new category as follows: Video Graphic Display (For TV), Video Electronic Content (For Concert Touring And Events) And Projection Design (For Theatre). "There has been an explosion of truly impressive creativity and artistry within the field of video, and it is now becoming an integrated part of visual design. With this in mind, it was a logical step to include this new category in each of our sectors," comments Durham Marenghi, KOI Awards coordinator. Television category includes awards for: Drama; Light Entertainment; Small Studio, Events and Video Graphic Display. 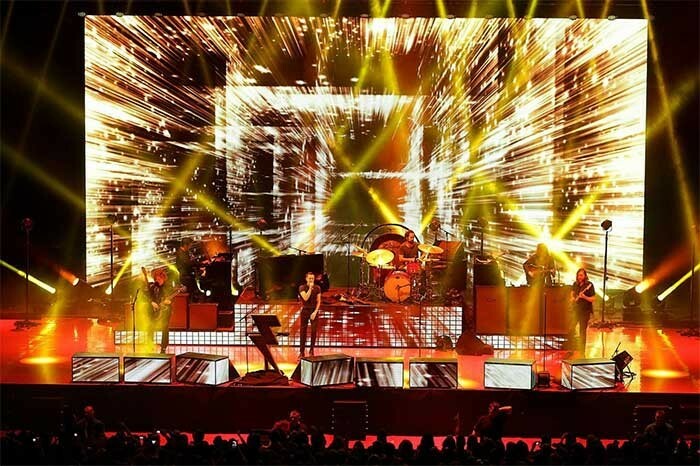 Concert Touring And Events (previously Rock) includes awards for: Concert Touring Stage; Concert Touring Arena; Live Events and Video Electronic Content. Finally the Enrico Caironi Award For Lifetime Recognition will be presented to an individual who has made an outstanding impact on the industry. Previous winners include lighting designer Richard Pilbrow in 2011 and Bryan Leitch in 2012. The category is named in recognition of former Clay Paky commercial director Enrico Caironi (1947 - 2011), whose inspiration and enthusiasm created and subsequently shaped the Knight Of Illumination Awards. 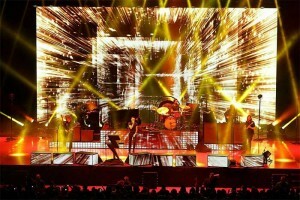 In picture: Baz Halpin's dynamic lighting design for PiNK is amongst the nominations this year.